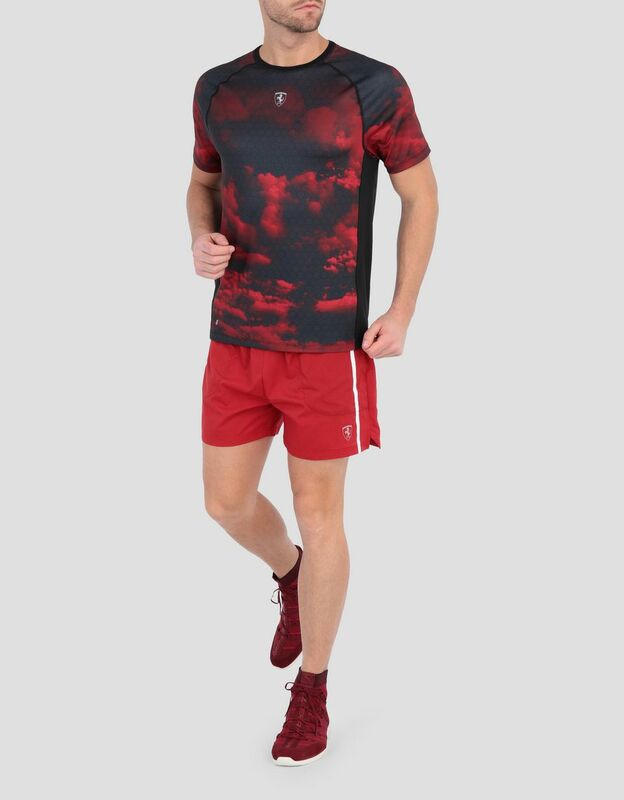 The new Scuderia Ferrari running T-shirt, made of high-performance technical fabric with Speed Dry technology, stands out for its energetic style. 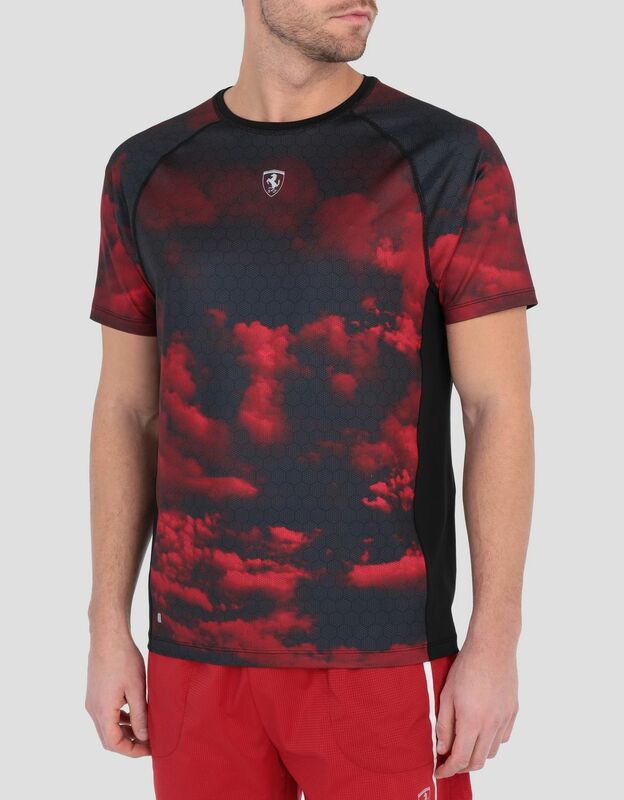 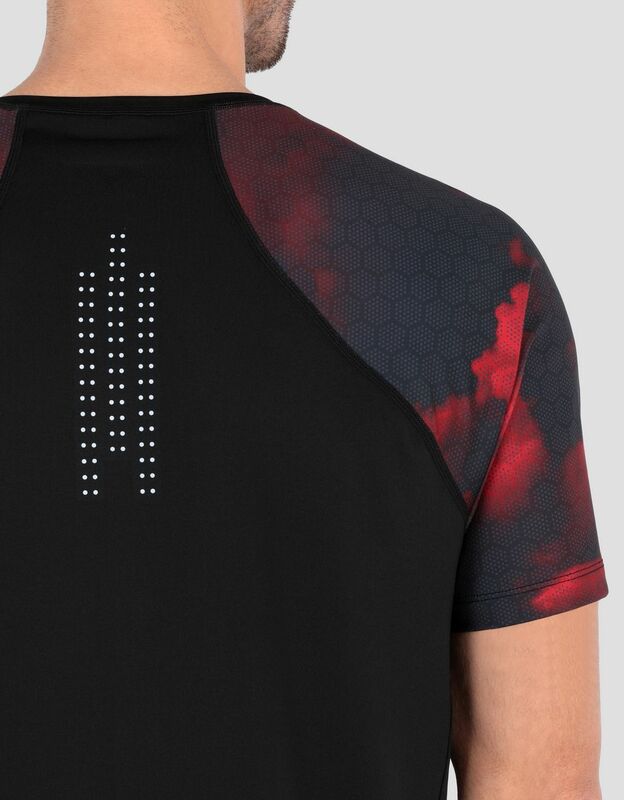 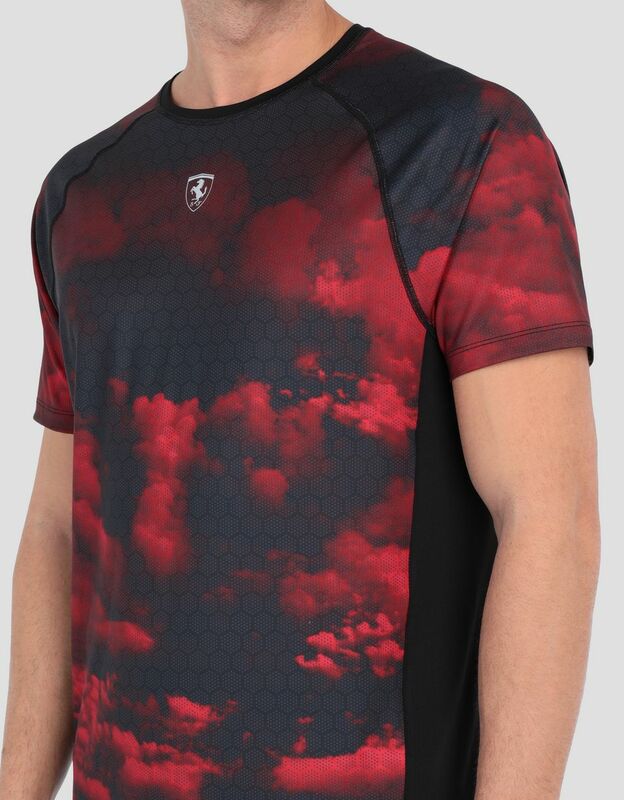 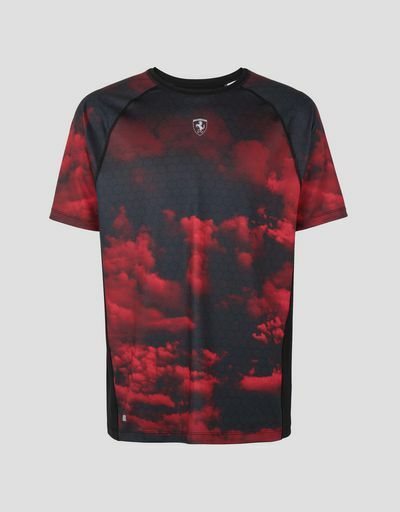 The charming Red Clouds print with a geometric honeycomb motif, recalling the carbon components of racing cars, gives striking colour effects to the short-sleeved T-shirt in highly breathable technical fabric, which is ideal for training. 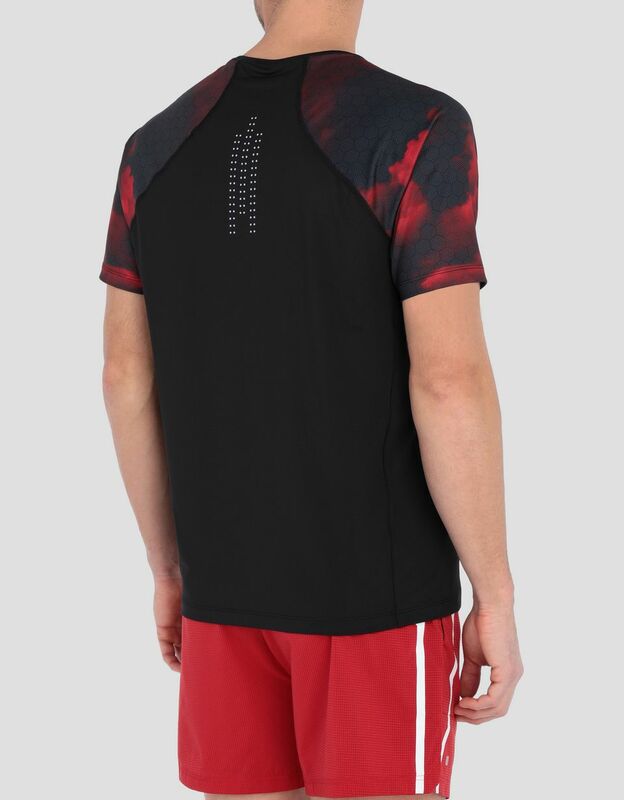 Ergonomic cuts and reflective dots printed on the back optimise the high technical performance of the men's running shirt. 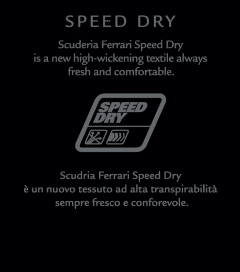 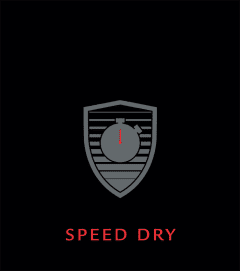 The garment is personalised by the Ferrari Shield printed on the front.